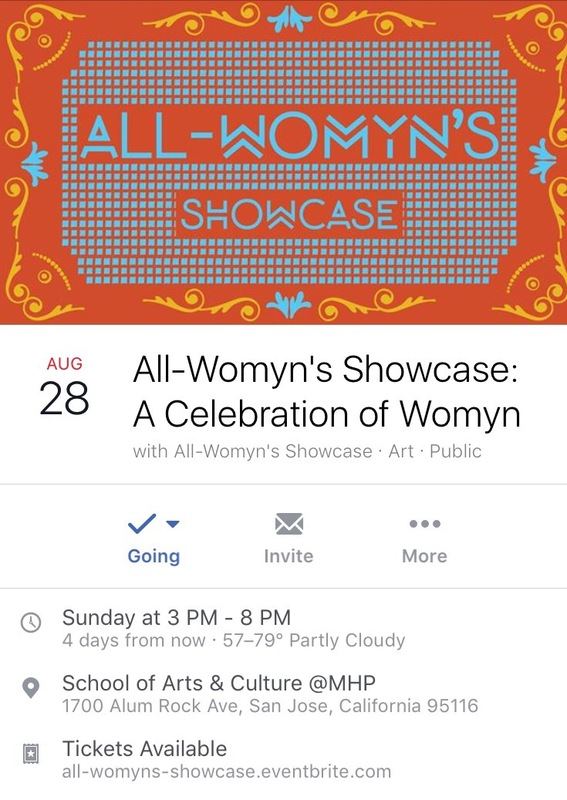 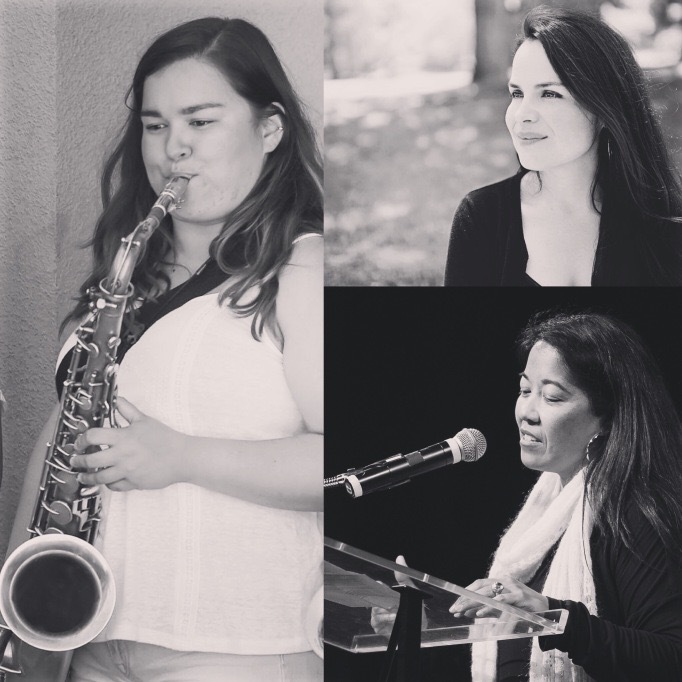 During the August First Friday Art Walk I had the chance to collaborate with visual artist Peter Foucault, poet Yaccaira Salvatierra and musician (and my niece!) 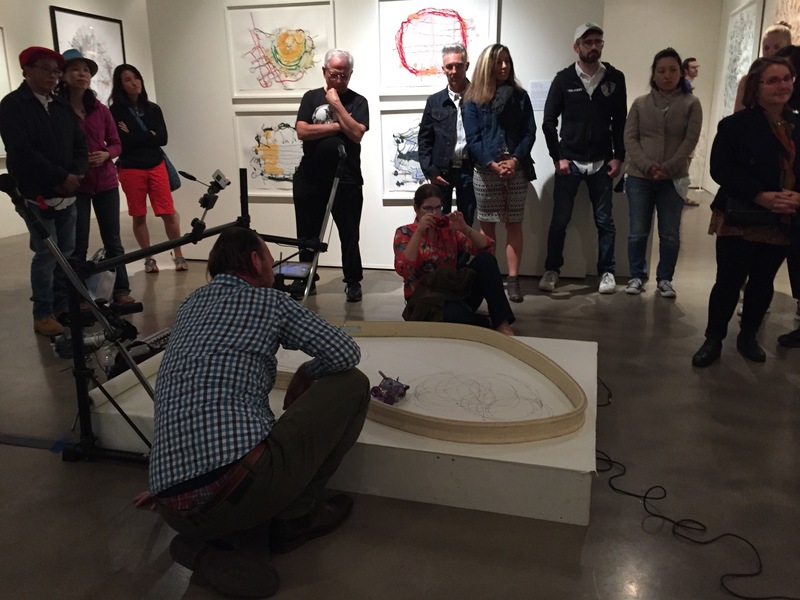 Brittany Biala for some spoken word/music/audience-song generated drawing by Peter and his artbot. 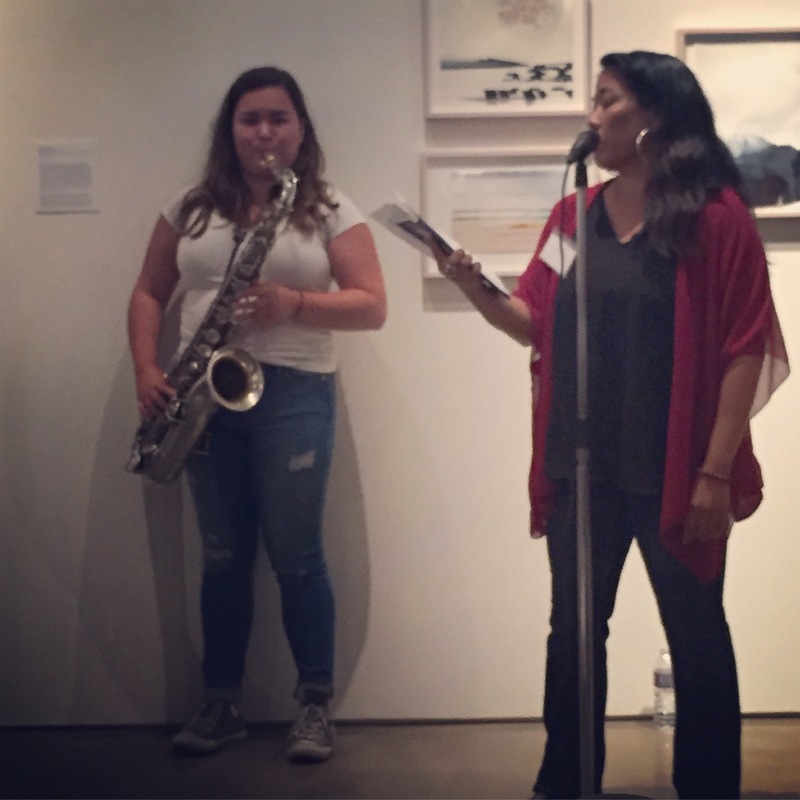 Thanks to Patricia Cariño and Cathy Kimball at the ICA for having us! 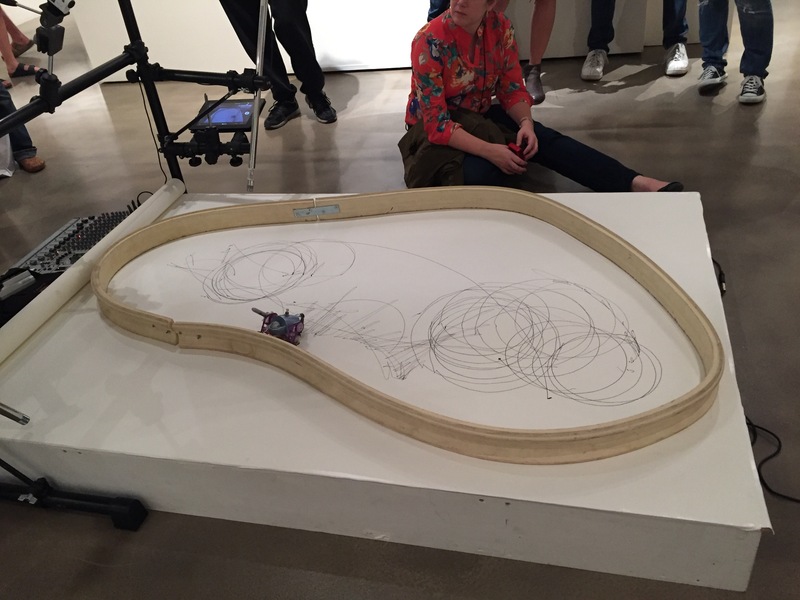 Go check out the Next New Paper and This Is Not a Book exhibits at ICA. 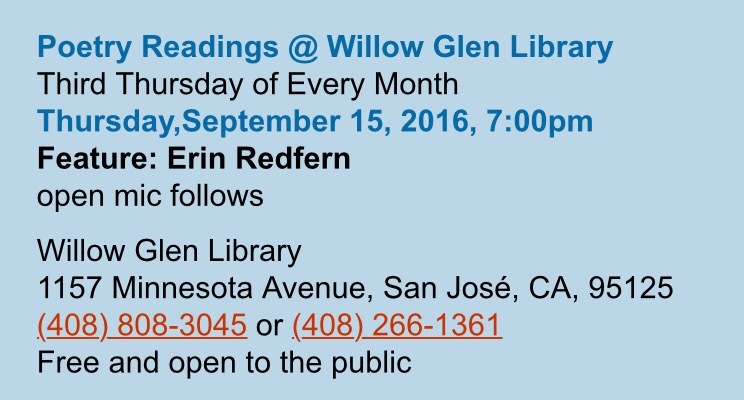 My thanks to Christine and Dennis Richardson, co-hosts of the popular and long running monthly reading at Willow Glen Library, for inviting me to feature on August 18th. 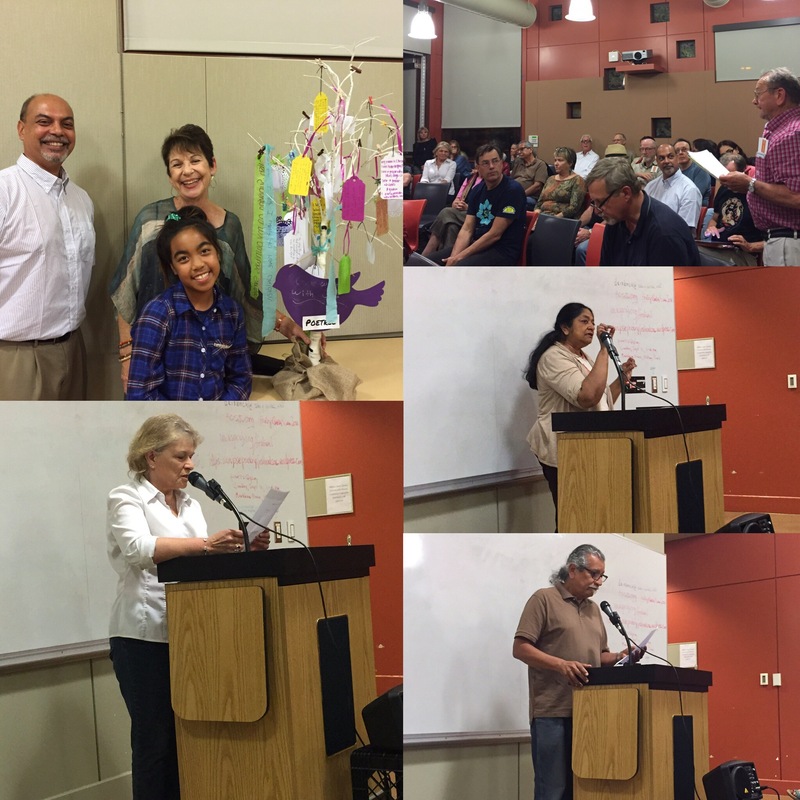 Great participation during the Open Mic and for the POETree! 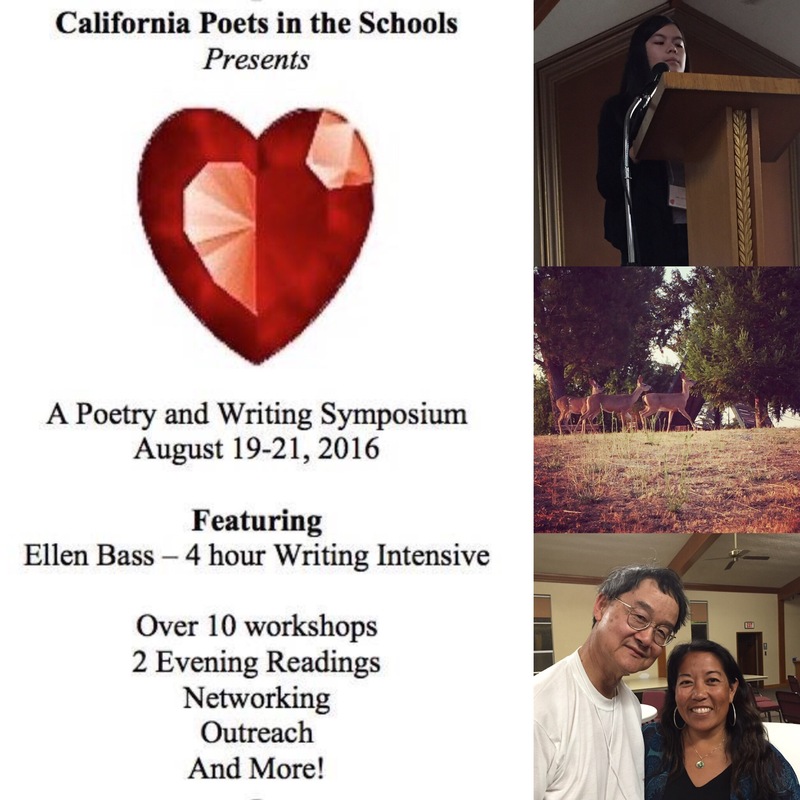 On Friday, August 19th, I had the honor of reading alongside 12-year old poet Greer Nakadegawa-Lee and Ellen Bass at the annual conference of California Poets in the Schools. 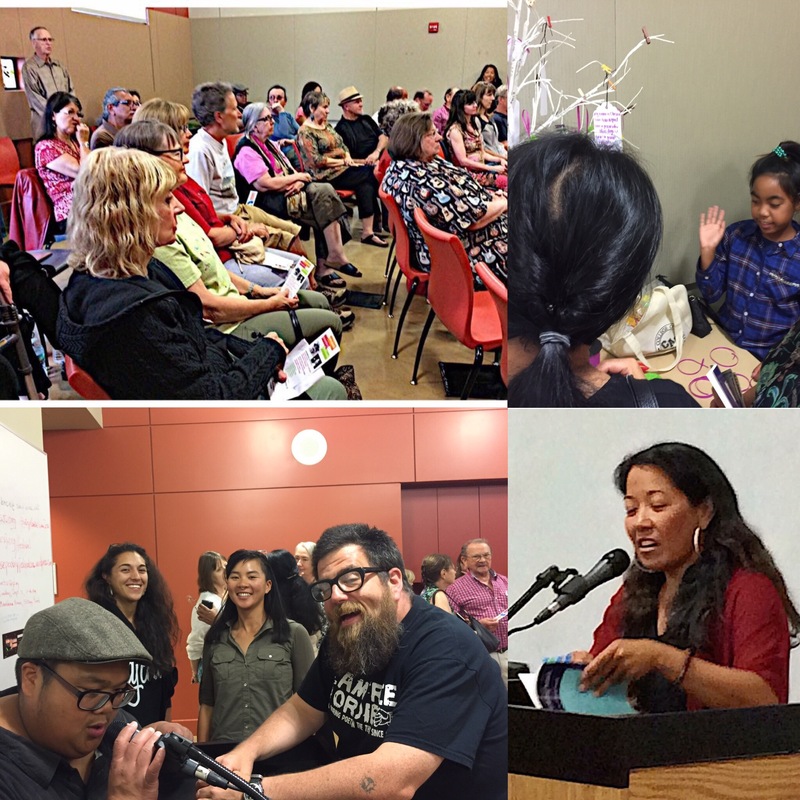 Thank you, Erica Goss and Tina Areja-Pasquinzo, for inviting me to share the stage with these inspiring poets. 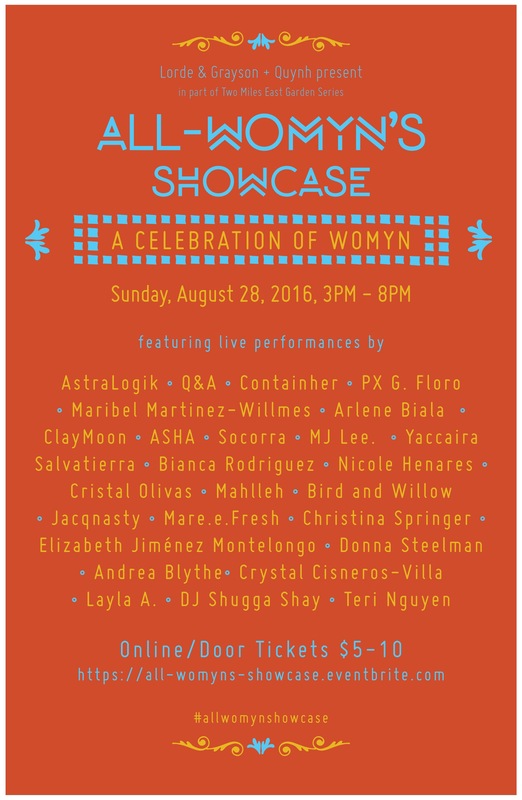 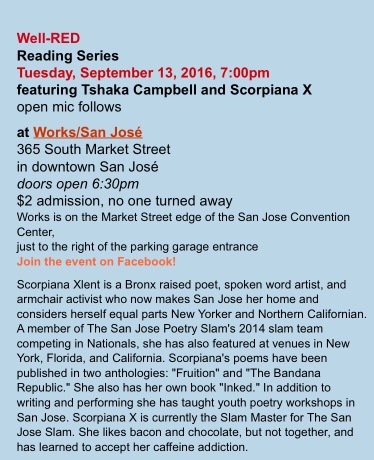 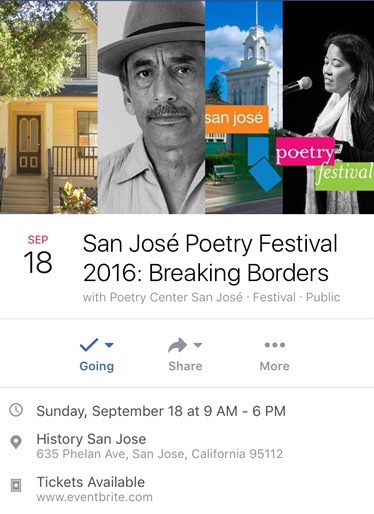 San Jose Poetry Festival on Sunday, September 18 at History San Jose! 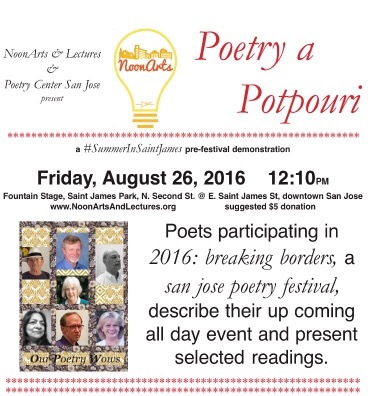 Full schedule and details at Poetry Center San Jose event page. 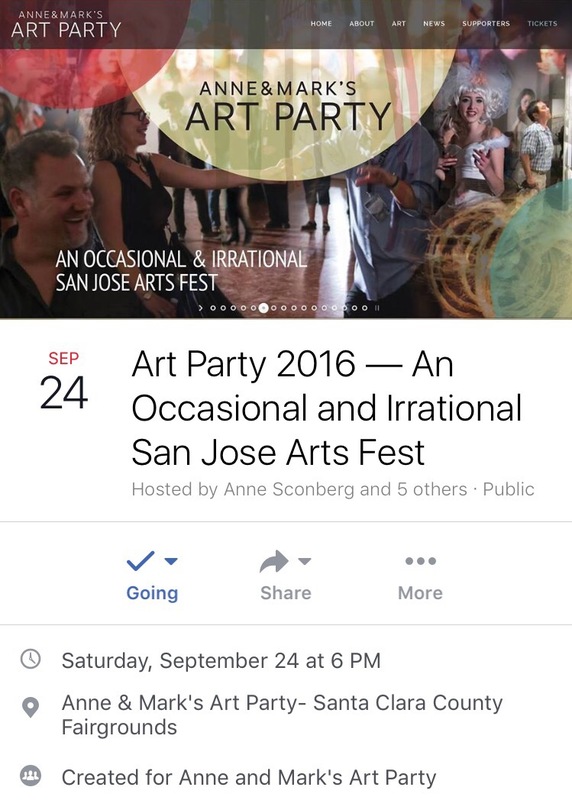 Got Events? 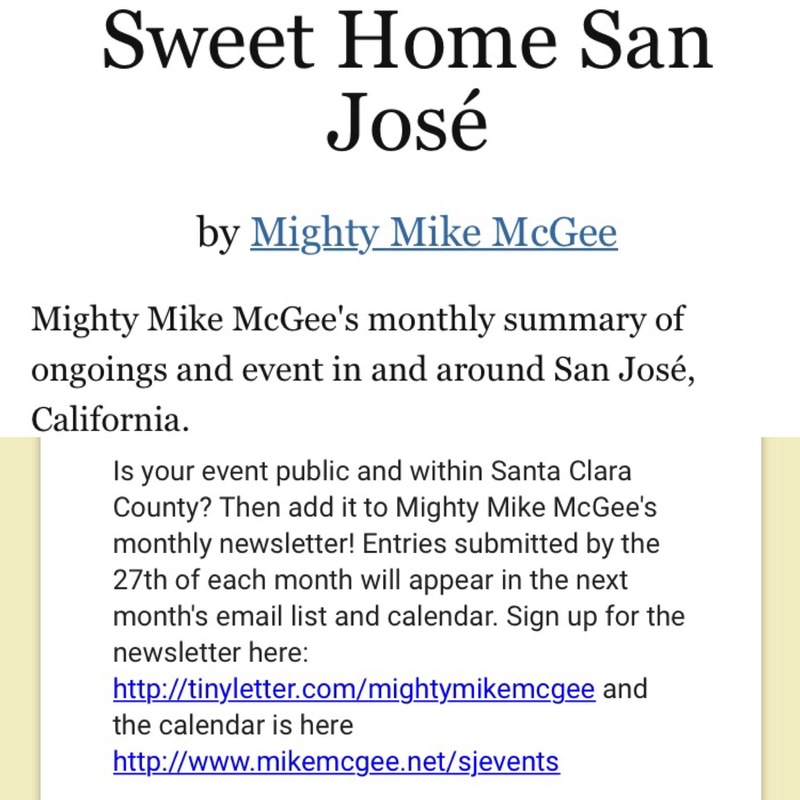 Sweet Home San Jose is a new monthly event calendar created by Mighty Mike McGee!